That got you excited? See you in the next chapter. 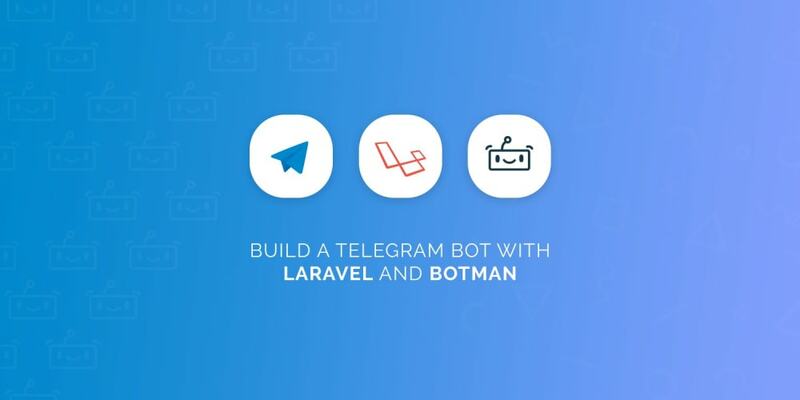 Marcel Pociot, The guy behind Botman has already saved us some time by creating Botman Studio which is a ready to use and up to date Laravel application with Botman and other testing tools (we will cover them later in this post) included. If you typed in “Hi” and the Bot replied with “Hello” then you are ready to go. Send a random dog photo from all breeds. Send a random dog photo by its breed. Send a random dog photo by a its breed and sub-breed. Have a conversation and provide help. Let’s clear the routes/botman.php file and start from scratch. * Return a random dog image from all breeds. // $this->photos->random() is basically the photo URL returned from the service. // $bot->reply is what we will use to send a message back to the user. // The endpoint we will be getting a random image from. * Fetch and return a random image from all breeds. // Decode the json response. // Make an API call an return the response body. // Return the image URL. // If anything goes wrong, we will be sending the user this error message. * Return a random dog image from a given breed. // Because we used a wildcard in the command definition, Botman will pass it to our method. // Again, we let the service class handle the API call and we reply with the result we get back. * Fetch and return a random image from a given breed. // We replace %s     in our endpoint with the given breed name. // The endpoint we will hit to get a random image by a given breed name. // The endpoint we will hit to get a random image by a given breed name and its sub-breed. * Fetch and return a random image from a given breed and its sub-breed. When it comes to chat bots, you probably don&apos;t want to simply react to single keywords, but instead, you might need to gather information from the user, using a conversation. Let&apos;s say, that you want your chat bot to provide an elegant user onboarding experience for your application users. * Create a new conversation. // our conversation class as a param to it. * First question to start the conversation. // We first create our question and set the options and their values. // We ask our user the question. // Did the user click on an option or entered a text? // We compare the answer to our pre-defined ones and respond accordingly. * Ask for the breed name and send the image. // This is the boot method, it&apos;s what will be excuted first. * Respond with a generic message. We successfully created our Bot, defined the commands and tested it out now it’s time to create a Telegram Bot. Open the app and search for BotFather, type /newbot, enter the name the username for your bot and you are good to go. Because Telegram requires a valid and secure URL to set up webhooks (which we will get to in the next chapter) and receive messages from your users we will be using ngrok or you can deploy your app on a server and set up an SSL certificate, but to for the demo we will stick to ngrok. Bowse to their Download Page and click the download button that matches your operating system. See you soon with another tutorial!